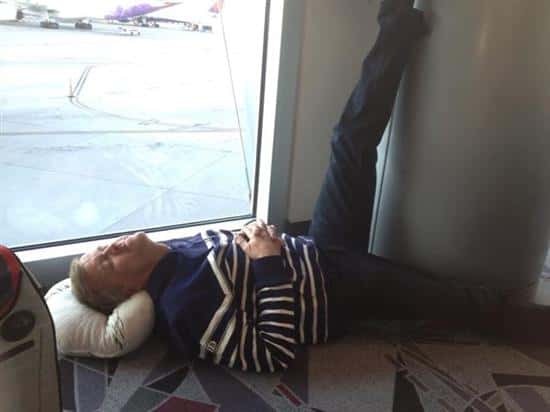 Here is a guide showing you How To Sleep In An Airport ! When you have to sleep, you have to sleep so just do it. 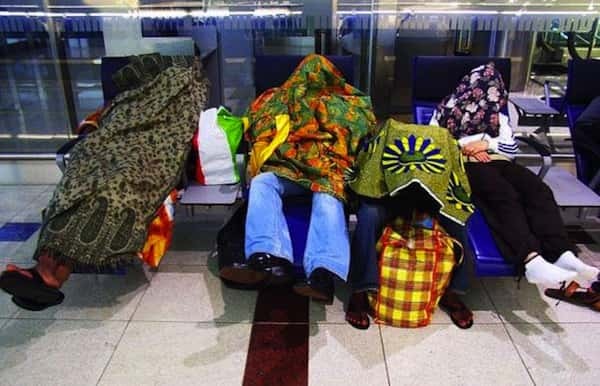 Long flights often mean that you have to sleep on the plane. 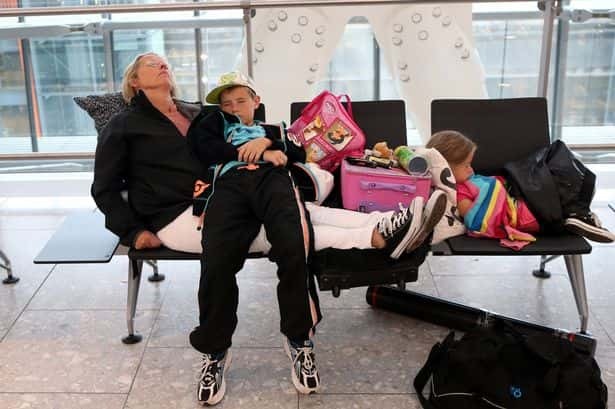 This can be a real problem if your flight is delayed and you are left waiting around at the airport. Never mind though! 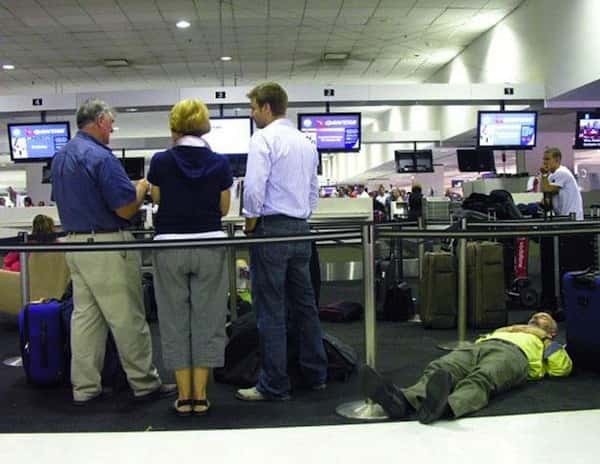 This can be fixed, just sleep in the airport. Here are the top 8 ways to do it right and some real world examples. Which one you choose will depend on your personal preference and on how tired you are! 1. The Cosy Corner - This is a good choice if you want to avoid being stepped on. Find an out of the way corner and pull down that hood. Works best if you are wearing colors that allow you to blend in with the furniture! 2. 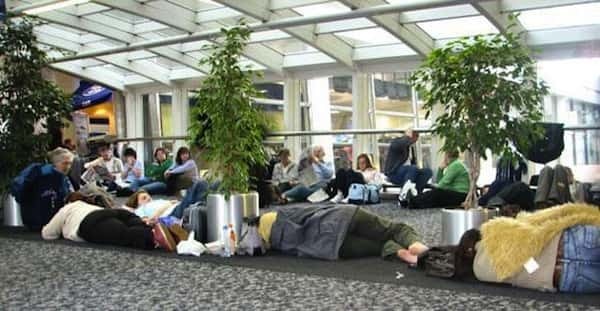 Under The Trees - Find the tallest plants or decorative object in the airport and lay down underneath. You will attract maximum attention. Even better if the objects you choose to sleep under are in a central area! 3. The Bag Cart Crash - Can't find a soft spot? Consider a baggage cart, you might want to ensure that it's your luggage though or someone could get annoyed! As an added bonus, it has wheels so you can put your bag bed anywhere you like. 4. Just Drop - Too tired to seek out a good spot? In that case just drop to the ground wherever you are and sleep as much as you need to. 5. Family Sleep Out - Got the whole family with you? 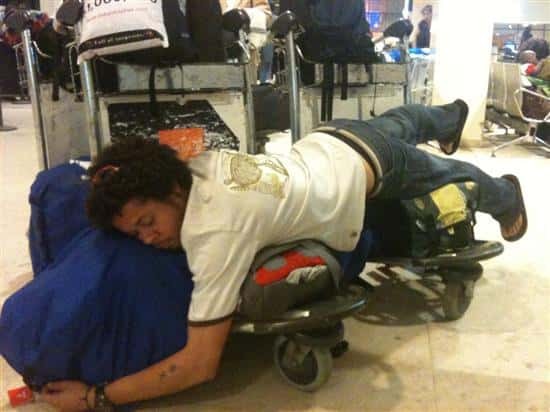 You can still get some sleep, on each other and on your luggage. 6. Secret Sleepers - Don't want to be recognized? Just cover your head with a brightly colored blanket and sleep away. 7. The Space Saver - If you find yourself short of space you can get around that by putting your feet up. One leg up and one leg down works, just do whatever you can to fit into the space you have. 8. 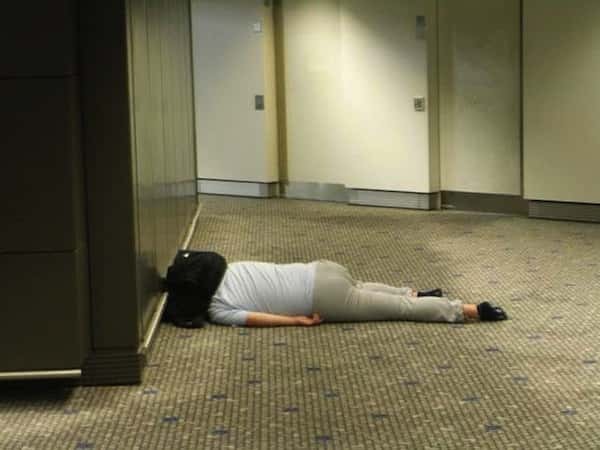 The Traffic Stopper - The trick to this method is to spread yourself out across a hallway. 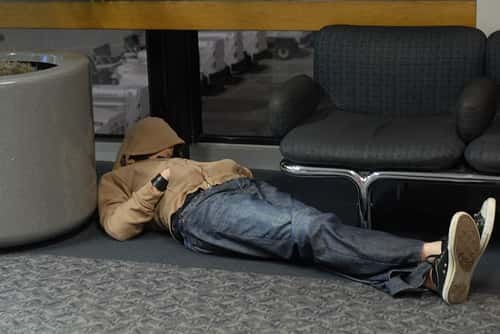 Don't bother staying out of the way by sleeping beside a wall, just spread out!